← Increasing droughts – Water shortages call for drastic measures. Regardless of how far down the track we are, we have to hit hard NOW in taking up renewable energy. 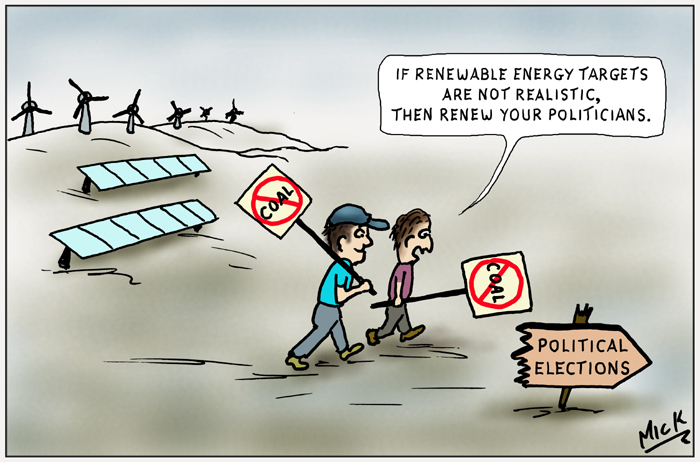 Posted on November 4, 2014, in Cartoon, illustration, humour, humor, caricature, political, art, Australia, Perth, cartoonist, Illustrator and tagged abbott, Australia, Cartoon, climate change, election, environment, Government, humour, illustrator, media, Political, pollution, renewable energy. Bookmark the permalink. 3 Comments. Absolutely. Excellent point. Environment should be above party politics. Way above! No worries mate. Good to hear from you. Best wishes and good luck for the New Year.